This is a Kona Tolex covered standard electric guitar case. The sturdy hard case is designed to protect most strat or tele style guitars. This black, Tolex covered, standard electric guitar case is just what you need to protect your guitar from the rigors of the road. 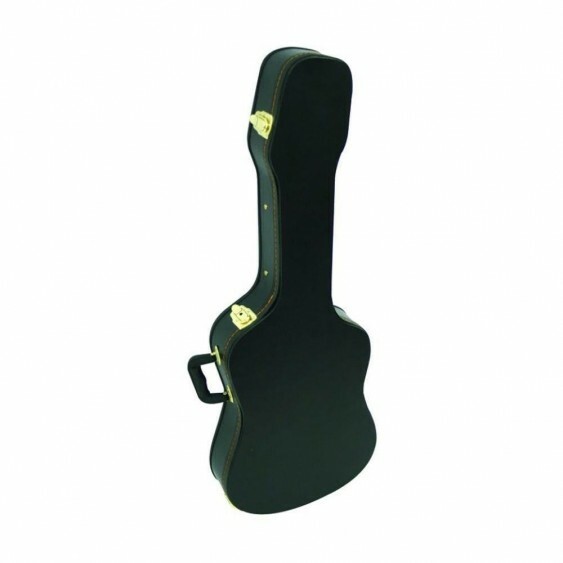 Kona's hard-shell guitar case is constructed with a tough 5-ply cross laminated wood core and has plush lining over a soft foam padded interior to act as a shock absorber. It also features a screwed in neck brace, heavy-duty gold plated hinges and locking latches, and an inner compartment to hold strings, straps, picks, slides, etc. 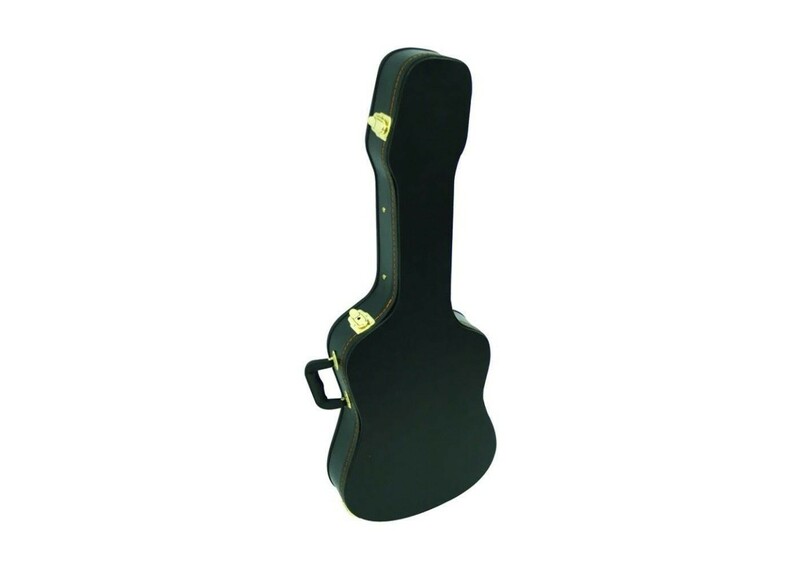 This quality electric guitar case from Kona is ideal for travel and storage. Width @ upper bout: 12"
Width @ lower bout: 14"